Elise Farvis from Game Informer got some hands-on time with the (yes, actually!) forthcoming Cuphead from Studio MDHR while attending Gamescom this week. The title sounds just as punishing as it's been made out to be previously, but it also looks like it's a lot of fun, especially with a friend. The gameplay footage below goes through one level solo, and then two bosses in co-op. If you're interested in just the co-op portion, skip to the 3:20 mark. In both of the boss battles, you'll see Elise and her co-op buddy swapping between two different attacks: a long-range blue bullet, and short range red burst (akin to a shotgun blast). Each of these weapons are useful in dealing with the various enemies and hazards in the game, and teaming up with a buddy means you can pretty much cover both bases at once. You'll also see that players can revive one another by jumping into the ghost that appears whenever they lose all of their health. 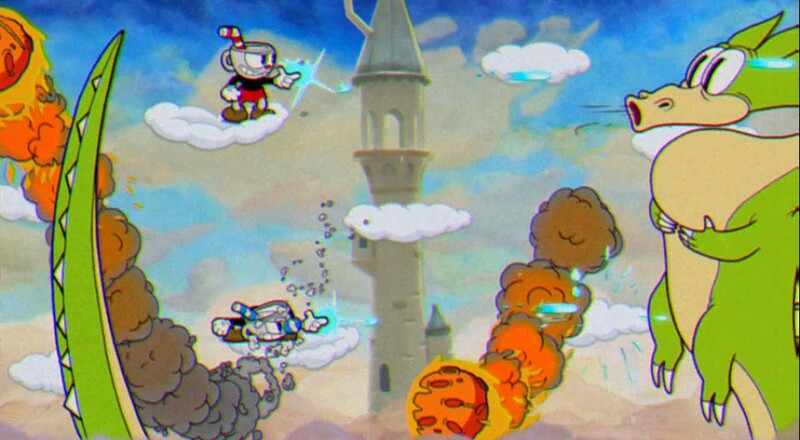 Cuphead is out at the end of September for PC and Xbox One. Page created in 0.4287 seconds.